Unlike some other green teas, this quality blend tastes smooth from first sip to last swallow. It's alive with invigorating sunlight and clean air. 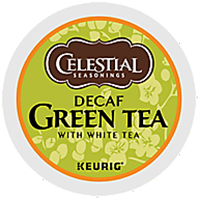 The gentle touch of Celestial Seasonings Authentic Green Tea makes taking care of yourself a pleasure.